The Wind Point Water & Stormwater Utility is a self-financing enterprise owned by the Village of Wind Point and regulated by the Public Service Commission of Wisconsin, the EPA and the Wisconsin Department of Natural Resources. 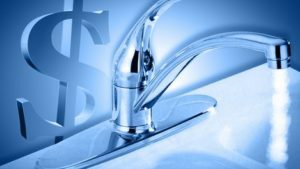 Wind Point purchases wholesale from the Village of Caledonia Utility District which is a blend of water treated by Racine Water Utility and Oak Creek Water Utility. Wind Point owns and maintains the water and stormwater distribution system within its municipal boundaries. Please note the Caledonia Utility District provides sanitary sewer service which is not provided by the Village of Wind Point. Your sewer utility bill payments and questions should be directed to Caledonia Utility District, 262-681-3900. Mail a check or money to the Wind Point Water Utility, 215 E. Four Mile Rd., Racine, WI 53402. In-person at the Administrative Office, 215 E. Four Mile Rd. with cash, check money order or debit/credit card (a processing fee applies) during office hours, Monday-Friday, 8:30 a.m. to 5 p.m.
In-person at Johnson Bank, 4001 N. Main St., with cash, check or money order. Payments accepted until due date only. Drop-box located at the end of the driveway of the Administrative Office at 215 E. Four Mile Rd. (no cash). Billing Periods are from the first day of each quarter to the last day of each quarter. Bills are typically mailed out each quarter on or around: March 15, June 15, September 15 and December 15. Payments are due by the 21st of the following month. Service Charge: A flat rate for having water delivered to the property that is based on meter size, not water used. Fire Protection Charge: A flat rate for having hydrants and water pressure available to fight fires. 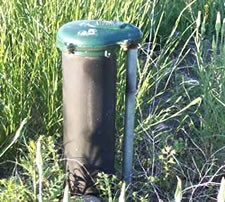 It applies to all Village meters by size and covers approximately one-third of the cost of maintaining the water infrastructure required. The remaining two-thirds of this charge is paid through the Village’s the property tax levy. Volume Charge: A variable charge based on consumption, or water used as shown on by your water meter. Stormwater Charge. A flat rate placed on each land parcel. The equivalent runoff unit (ERU) is a calculation of the average residential hard surface area creating run-off. Revenue covers costs of maintenance and repair of stormwater infrastructure in the Village. The ERU rate of $8.80 was increased to $9.46, effective January 1, 2016. Wind Point Water Utility routinely checks municipal water to ensure it is safe for potable use. In accordance with the Village’s “cross connection control program” (Municipal Code Sec. 5.04) as mandated by the Wisconsin Department of Natural Resources (WI DNR 810.15 Chapter-Comm. 81, 82, 84), the Utility provides periodic inspections for “cross connections” of the water supply. The purpose of the inspection is to identify any connections or potential connections of contaminant sources with the water system in your home. Cross-control inspections are now taking place at the time of water meter replacement. Click here to review important cross-connection information for property owners. The U.S. Environmental Protection Agency (EPA) requires drinking water utilities to provide an annual Consumer Confidence Report to help consumers understand where their drinking water comes from so they can make informed decisions about their health and protection of the environment. We’re pleased to report that our drinking water is safe and meets Federal and State requirements. You can see the results on our latest report by clicking here. Although all residents have access to the municipal water system, many homes built before 1966 have a private well on the property. In compliance with the Wisconsin DNR, the Village of Wind Point regulates private wells to ensure they are safe and not a source of contamination to the municipal water system or groundwater. All private wells located in the Village are required to either be permitted or properly abandoned. If you have a well on your property and are unsure of its status, please contact the Village Office. Well permits are issued by the Village Office and are valid for a five-year period. Each application (including renewals) must be submitted with water test results from a certified laboratory. Download an application from the Licenses & Permits page. Alternatively, residents can have their well abandoned by having it capped by a licensed pump service provider. When the work is completed, the technician should file the DNR abandonment form with the DNR and submit a copy of that form to the Village within 45 days.